I think my family has entered the golden age of Morning Time. My three kids range in age from 6 to 10. We have no toddlers to disrupt us (though don’t be fooled in thinking things are too quiet) and we have no teens who need to rush away to complete a list of requirements to earn credits. It is just us, together, learning to love beauty. I know, though, that most families are operating outside of the golden age. The are dealing with a wide range of ages, the blessed noise of babies, or the hurried departure and awkward scheduling of dealing with a teen. Then there are those who only have very young children or only have teens. Or what about the family homeschooling only one child. Those situations bring entirely new challenges to light. because so often families in the golden age or the wide-span are held up as models. Let’s break down what Morning Time might be like in these homes. If all of your kids are under the age of about six, then your Morning Time will look far different than mine. I have moms write me concerned that little kids don’t have an attention span for chapter books or wanting to know which version of Shakespeare should they use. And their oldest is only 4. Not Shakespeare, not the Nicene Creed in its entirety, not even Winnie the Pooh or Little House in the Big Woods. When you think attention spans are growing, then try adding a few minutes (not necessarily an entire chapter) from a book on this list, short poems by Hillaire Bellock, Robert Louis Stevenson, and Odgen Nash. Those are the kinds of things that will make your little kid Morning Time a success. 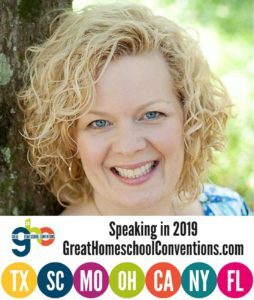 For more information about Morning Time with just littles, check out my podcast with Celeste Cruz. At the other end of the spectrum there are moms wanting to start a Morning Time for the very first time and they only have teens. When you are facing a bunch of teenagers the last thing you might want to suggest is sitting for an hour reading Shakespeare, call and response memorization, or tons of poetry. For many teens, especially boys, you are going to have to be a little more subtle starting out. Morning Time with teens should be an invitation. Mom invites teen for a warm beverage (like tea, coffee, or a latte). If needed Mom also provides a tempting snack to go with said beverage. Maybe something from a secret stash like a scone, biscotti, or a morning cookie (or four if you have boys). Something really tempting. Then start with material that is interesting to them. Teens love to argue and discuss and explore their views of the world. Begin with logic, current events, and apologetics. Position yourself as a co-learner in the Morning Time space. Encourage them to choose a favorite poem to memorize and then you do the same. Take turns leading prayer and reading aloud. Let them makes some of the decisions about what the time will look like. If you are working with a bunch of kids who are not used to deep discussions about literature don’t be afraid to use a Shakespeare version that puts the original side-by-side with a modern “translation.” Be sure to get everyone their own copy so you can all take parts and read. Also, higher interest books like Fellowship of the Ring, The Giver, Ender’s Game, To Kill A Mockingbird, or A Wrinkle in Time are a places to dig into literature with kids who have not had much experience beyond just having to read and answer questions for a class. There is no need to start with War and Peace — really. Moms with only one at home struggle with setting Morning Time apart as a separate learning time. After all, their entire homeschool day is the whole family together. To make Morning Time set apart you will want to emphasize the ritual aspects of the practice. Light a candle to begin and blow it out at the end. (Be encouraged that there will be no fighting over who gets to do that.) Mom can emphasize her role as a co-learner in this time as well. This is a time for both of you to learn together. No two Morning Times will look alike and that is the way it should be. 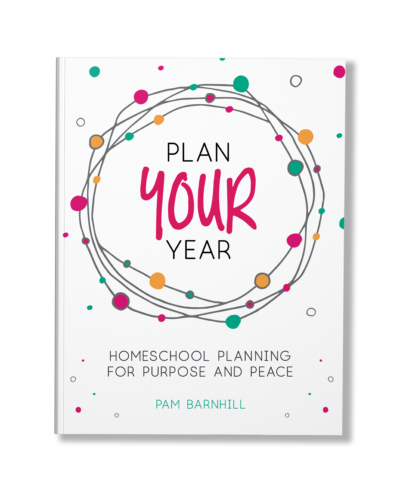 Like any other homeschooling practice, when we try to start fitting ourselves into someone else’s plans then things just won’t seem to fit. Keep looking for the ways to make Morning Time your own and then own it. I love these ideas! For my teen, we also use Morning Time as a the time when she shares her memorization progress with us — right now it’s a poem by Longfellow. I also agree that you have to be SUBTLE about morning time with your teens… they aren’t always the most enthusiastic crowd! Have fun with that Cassie, nothing like the first one learning to drive 😉 And yes, it’s time to be a grown up with MB – it’s almost more fun, the older they are as the discussions are so excellent. Never under estimate the power of going outside for MB time too – so fun with boys! 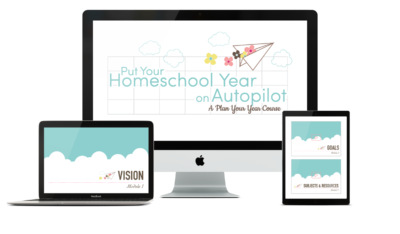 Morning time is hands down the BEST practice we have in our homeschool. We started it before I knew it was also in other homes as well. 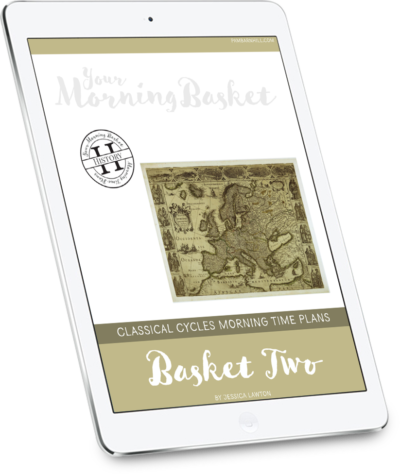 Thanks for a podcast full of ideas on how to make the most of Morning Time. Loved the ideas for teens in this post. We aren’t there yet, but it’s good to have an idea where we are going! I do morning time with my only child- 6 yo daughter. We usually do it while having Breakfast. I love your podcasts. You are so professional in your conversations & always ask interesting questions. Kuddos to you & thanks for the help! Pam I just shared this article. So well done! I have been working on morning time with my 11 year old boy. It appears to be going well, but I feel a bit scattered when I do it. It should be so simple with one. I am a list person at heart and also love ritual. Are there any more concrete suggestions that you might share? Thanks so much and I thoroughly enjoy ALL your podcasts! I have been doing Morning Time for about 9 years and it has been the anchor for our days. But now that I have all teens (16, 15, 13) it has taken us awhile to find our groove regarding MT. I think that our MT is now the best that it has ever been. It has become a simple, yet powerful, part of our day. I never really thought about inviting my teen to sit and have coffee or tea with me to get their morning started. Giving them something special to look forward to is genius! I will be book marking this. I love your ideas for MT with teens. Is live to see some suggestions for those of us with a broad range of ages, too. Many of us with larger families have youngers and teens. MT is hard to figure out! I have my last of my older kids and one caboose kid this year (14, 8). I’d like to at least do some of our MT together. Any suggestions for overlapping? Subtlety and snacks! Great recommendations for teens and MT. Thanks for writing this, Pam. 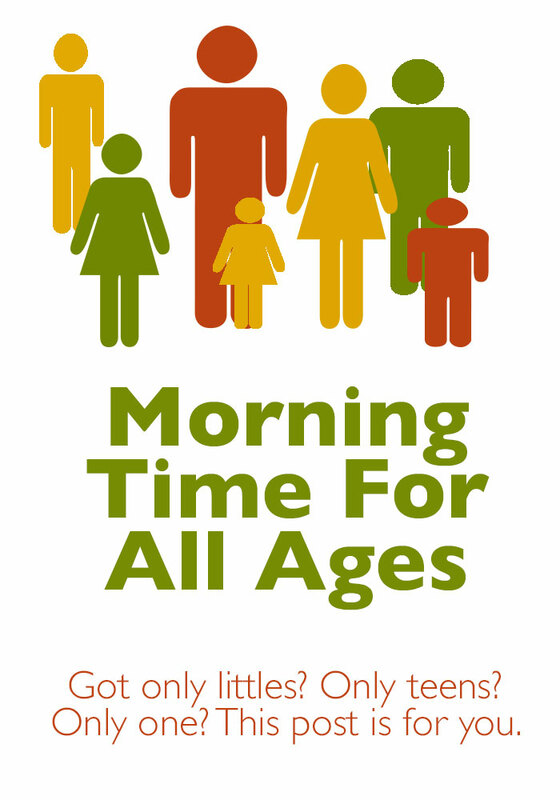 What does morning time look like for this age group? 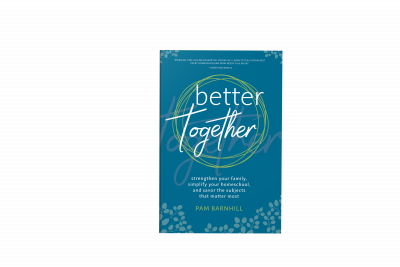 You might try the podcast with Angela Boord about Morning Time with big families, Your Morning Basket episode 5 (https://pambarnhill.com/ymb5/). Sometimes, it looks like olders or littles being released early. -Dawn Garrett, Community Care Coor. I love your podcast! I just wanted to let you know that your link for freebies on phonics museum seems to have an error. Try it now Katie and thanks!